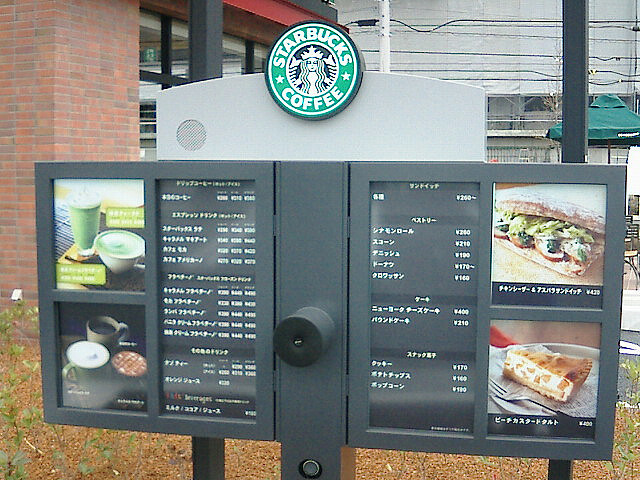 Before I found an article about drive-through service in Japan, burger was only one thing I can come up with associated with the service, but it seems nowadays Starbucks also offers drive-through service. According to the article, they now have 96 drive-through shops in Japan (and one of them in Tokyo)! I rarely use the service, so I probably didn’t know much about them, but it seems there are more varieties of drive-through available across Japan now. Such a service, of course, has more demand in fast food industry, and you can find pretty a lot of franchise shops offering the service. 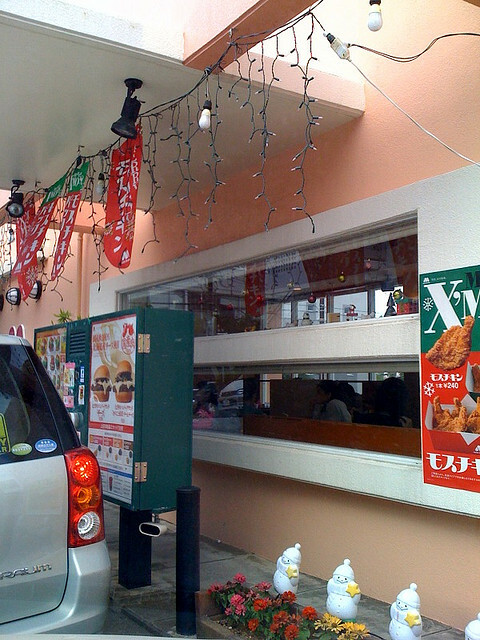 For example, gyu-don (or bowl of cooked beef with rice), Japanese curry, takoyaki ball shops are some of those you can find as drive-through shops in Japan. When it comes to non-food industry, there is a particular bank based in Gifu pref. offering drive-through cash point service. Also, some supermarket offers drive-through grocery collection for those people pre-ordered their items on the internet. I’ve also seen drive-through post and drive-through prescription service before, and I think such services are convenient when you struggle to find parking space. Well, when it comes to food, I still prefer to eat food seated though!